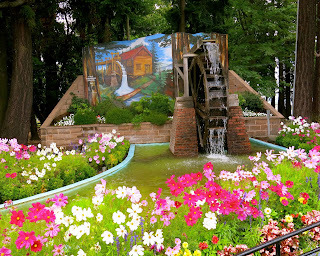 The Waterwheel Park is a great place to visit and to listen to music. 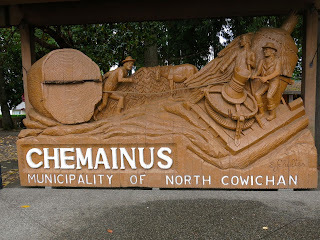 Every summer, I enjoy a visit to the small town of Chemainus, near Nanaimo, on Vancouver Island. 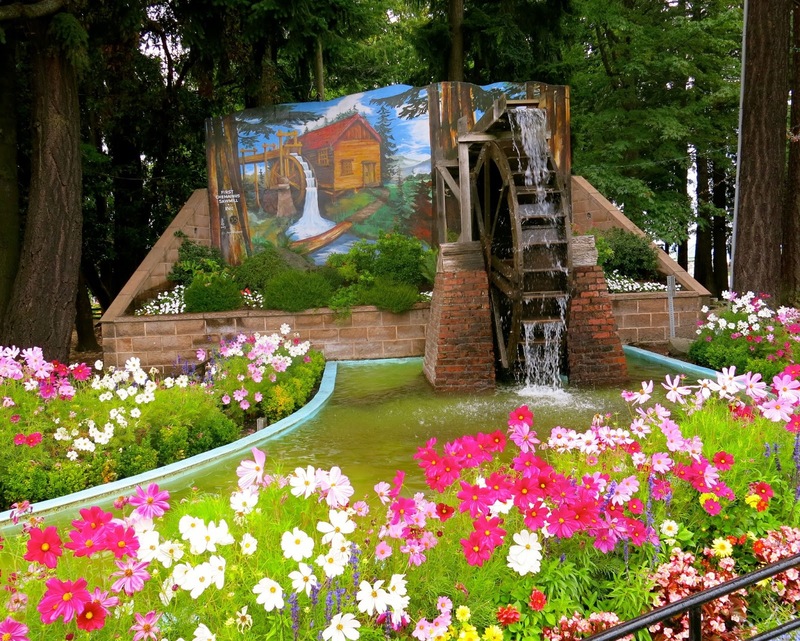 Chemainus was an important mill town during the 19th and early part of the 20th century. 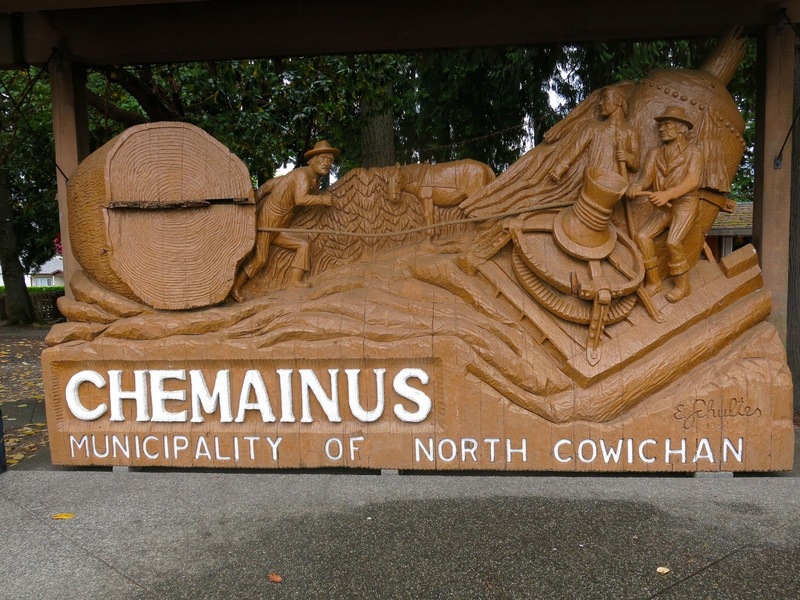 In the 1980's, when the lumber business fell into hard times, Chemainus recreated itself as an interesting centre of art and history. In 1982, the idea for a downtown revitalization project involving large historical murals was conceived. 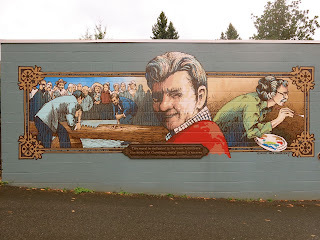 What started with 5 murals showing the history of the North Cowichan area is now a collection of 50 large murals depicting logging, the railroad, and the various groups of settlers who established the community. In 1983, the town of 4,000 inhabitants won the New York Downtown Revitalization Award. Yesterday, my sister and I travelled through the streets learning more about the area's history. Mural to honour the various artists who contributed their talents. 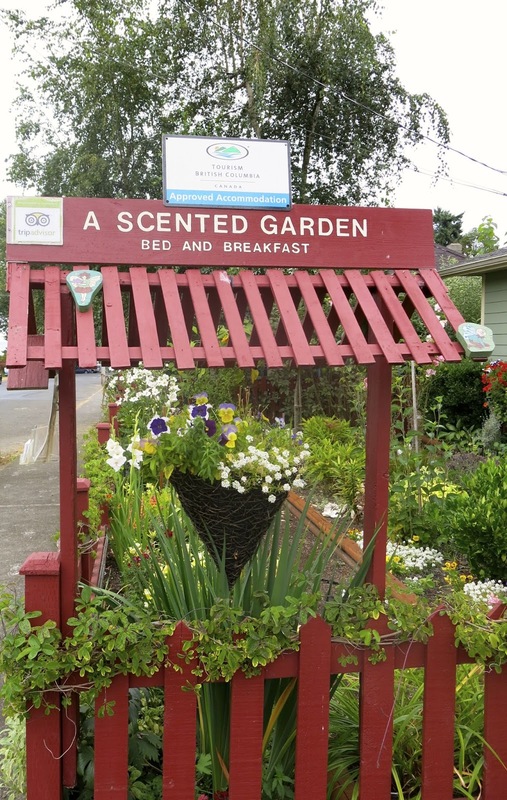 Every year, I like to stay in the Scented Garden B and B which is within walking distance of downtown, the beach and the Chemainus Theatre. 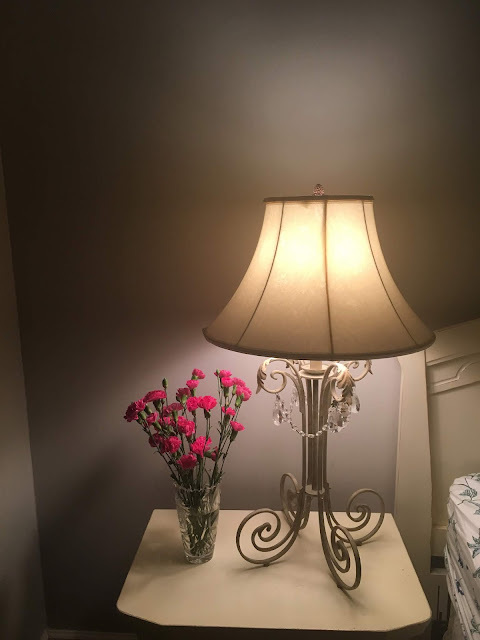 The rooms are cozy, the breakfast is healthy and the hosts are friendly. This year, I stayed with my sister in the Island Thyme room which was very comfortable. You can sit in the garden with a book. I love to find entertainment in small towns. There's usually a lot of accessible art and music. Saturday night, ma soeur and I went to listen to some music at the Willow Street Café. It was lots fun and the 7-9 showtime was just right for me. Sunday, we went to the Chemainus Theatre to see Singin' in the Rain. I love musical theatre and it amazes me that there are so many talented young people. 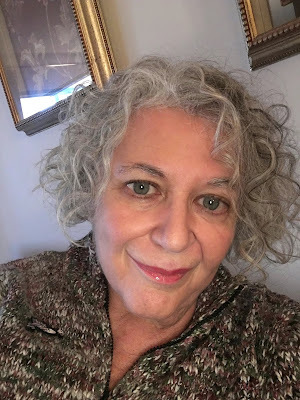 The theatre operates throughout the year and I attend the annual summer musical production. 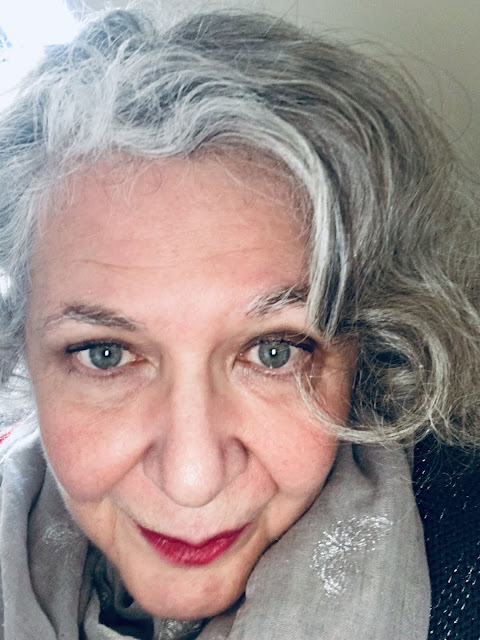 The pace of small town life soothes me and I feel that I can return home to better deal with some of the pressures of my daily life. It looks and sounds like a wonderful place to visit! I hope we can get back to that part of the world within the next couple of years.